When it comes to watersport activities, Bermuda is one of the first to adapt to the latest and the best. Flyboarding is one such example. Having being conceived and launched in 2011, Bermuda brought in this thrilling and adventurous watersports in 2013. So how does it work? A small customized water craft is used which uses water jet pressure through a long hose pipe. You will be made to stand on a platform (like a wakeboard) at the other end of the hose pipe. Don't worry. You won't be alone. There will be an instructor at the craft controlling the jet pressure and taking care of all safety measures while a guide will accompany you to stand on the board. The water jet pressure through the hose pipe will gradually lift you above the water surface and then you will feel like flying! If you are new to this, there is an initial coaching given for about 10 minutes. If you can control it well, you can also start performing few tricks as you fly. The hose pipe is about 55-ft long and you can fly up to about 35 ft above the water. The entire experience lasts for about 30 minutes. When you become an expert (that takes time though), you can also do it all by yourself, otherwise the balance is the main issue. However, you will wear a helmet and it's safe. So who can try flyboarding? This watersport is generally meant for the young (minimum age limit is 14 although there is no maximum age limit for this). You should be able to swim, have reasonable level of fitness and weigh below 350 pounds. 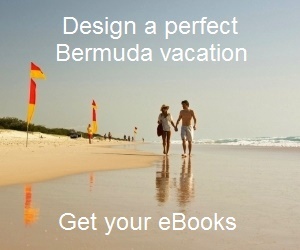 Since it has been newly introduced in Bermuda, it is gradually catching up amongst the locals and the tourists. Coconut Rockets is the main operator offering flyboarding in Bermuda. They operate out of the Royal Naval Dockyard (i.e. the port where the Kings Wharf is located) at Calico Jacks. So it's very convenient to the cruise ship passengers docking there. They operate daily between May to November from 9am to 5pm. Operation Hours: Monday-Saturday 9am-5pm; Sundays 10am-5pm by reservation only. Flyboarding is also sometimes available at Tobacco Bay Beach in St Georges depending on demand. How much does flyboarding cost? It is still an expensive watersport. It costs about $165 per person for 30 minutes duration including 7-minute instructions. However experts need not take the instructions and utilize the full time. 1) Bermuda Water Sports: Various water sport activities in Bermuda.